IPC Eagle CT110ECS Low Moisture Green Cleaning Rider Scrubber - 32"
This green cleaning rider scrubber is going to save you up to 90% on your water and chemical consumption. This rider scrubber will use an average of 2.5 gallons of water per hour. This will give you almost 12 hours of scrubbing time before you need to refill. We always recommend cleaning out your recovery tanks before storing, but since your clean water and chemical are kept separate, you can leave those in the machine. We throw in the "Chem Dose System" which allows you to dispense your solution at a metered pace. A lot of the automatic rider scrubbers on the market today claim to save you time and money. This green cleaning scrubber actually does, plus it's good for the environment! Without having to stop and dump out the dirty solution, and refill the clean water tank, you'll be able to spend all your free time actually scrubbing the floor. Never before has such an innovative machine been available to help you do your job! We offer this same technology in different walk behind sizes as well. We have the14" battery powered compact scrubber, the 20" green eco-friendly scrubber, and the 28" microfiber auto scrubber. All of these machines can be utilized to save your organization money, and make the Earth a better place. Saves you up to 90% on your water and chemical consumption. Saves up to 240 gallons of chemicals per year, saving you money. Less waste goes out into the environment due to less water and chemical usage. 600 RPM microfiber bonnet scrubs floors clean. 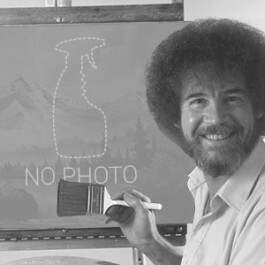 Clean continually without having to stop and dump or fill. 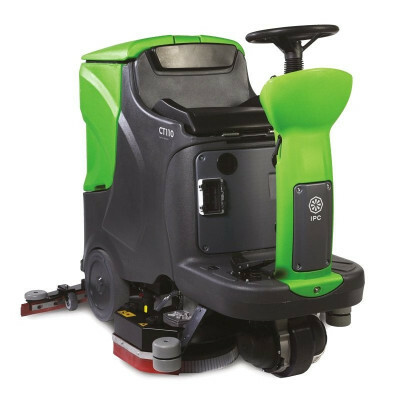 Customers who were interested in the IPC Eagle CT110ECS Low Moisture Green Cleaning Rider Scrubber - 32" were also interested in the following items. This is a review for the IPC Eagle CT110ECS Low Moisture Green Cleaning Rider Scrubber - 32".